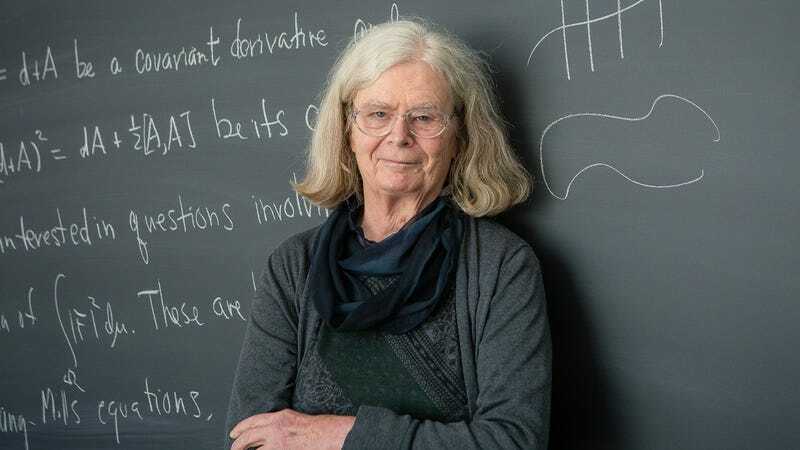 Earlier today, the Norwegian Academy of Science and Letters awarded the Abel Prize to Karen Uhlenbeck, 76, for “her fundamental work in geometric analysis and gauge theory, which has dramatically changed the mathematical landscape,” said Hans Munthe-Kaas, Chair of the Abel Committee. 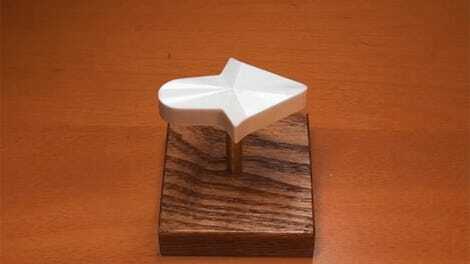 “Her theories have revolutionized our understanding of minimal surfaces, such as those formed by soap bubbles, and more general minimization problems in higher dimensions,” he said. Awarded annually, the Abel Prize was established in 2002 to recognize “contributions to the field of mathematics that are of extraordinary depth and influence.” There’s no Nobel Prize for mathematics, but this award, which comes with 6 million Norwegian Krone (USD $704,000), is about as close as it gets in terms of prestigiousness. Of the 19 total laureates to date, Uhlenbeck is now the first woman to win the prize. King Harald V of Norway will present the award to Uhlenbeck on May 21st at a ceremony in Oslo. A former emeritus professor at the University of Texas at Austin, Uhlenbeck, who lives in New Jersey, is currently a Visiting Senior Research Scholar at Princeton University and a Visiting Associate at the Institute for Advanced Study (IAS). Her most influential papers were published in the late 1970s and early 1980s, and she received a USD $204,000 MacArthur Fellowship in 1983. Uhlenbeck made major contributions to a variety of mathematical branches, including gauge theory, which underpins theoretical physics. A gauge theory is type of physical theory where the properties of an an object (like a particle) doesn’t change under certain mathematical transformations. Gauge theories are used mainly for physical theories where we can’t observe something directly. Uhlenbeck’s contribution helps scientists apply mathematical gauge theories to the world we actually see. One of her most influential results—and the one that she says she’s most proud of—is the discovery of a phenomenon called bubbling, as part of seminal work she did with collaborator Jonathan Sacks. Sacks and Uhlenbeck were studying ‘﻿minimal surfaces’, the mathematical theory of how soap films arrange themselves into shapes that minimize their energy. 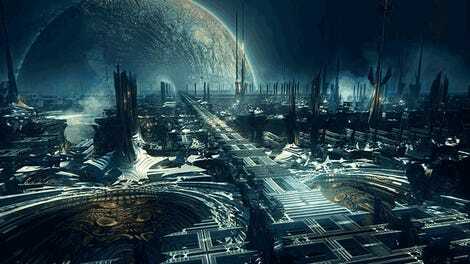 But the theory had been marred by the appearance of points where energy appeared to become infinitely concentrated. Uhlenbeck’s insight was to ‘zoom in’ on those points and show that what actually happened was a new bubble splitting off the surface. “The recognition of Uhlenbeck’s achievements should have been far greater, for her work has led to some of the most important advances in mathematics in the last 40 years,” said Jim Al-Khalili, Royal Society Fellow, in the Abel Prize press release. In addition to being a stellar mathematician, Uhlenbeck is also a stellar human being. She co-founded the IAS’s Park City Mathematics Institute (PCMI), which “aims to train young researchers and promote mutual understanding of the interests and challenges in mathematics,” according to the Abel Prize. A steadfast promoter of gender equality in science and mathematics, she also co-founded the IAS’s Women and Mathematics program (WAM) in the 1990s to “recruit and empower women to lead” in math fields, irrespective of which stage they’re in at in their careers. Previous winners of the Abel Prize include Robert Langlands for his contributions to number theory (2018), Andrew Wiles for “his stunning proof” of Fermat’s Last Theorem (2016) and John Nash and Louis Nirenberg for their work on geometric analysis (2015).